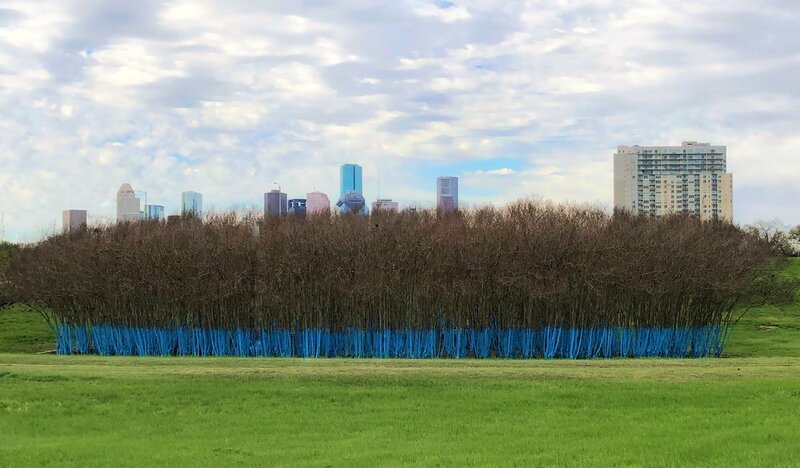 The Houston Parks and Recreation Department will be painting the crepe myrtles at the traic cloverleaf at Memorial and Waugh to bring attention to the plight of pollinators, such as bees and butterflies. The Natural Resources Program has been regularly hosting community events to seed areas, with wildflowers, as well as prairie habitat restorations, which provide food and habitat for these species. The wildflowers, which bloom around March, will stand out against the brilliantly colored tree trunks.